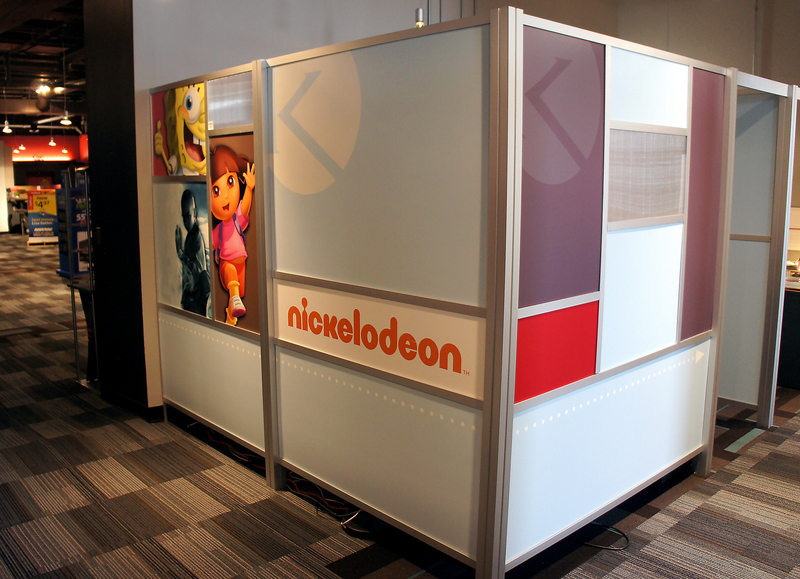 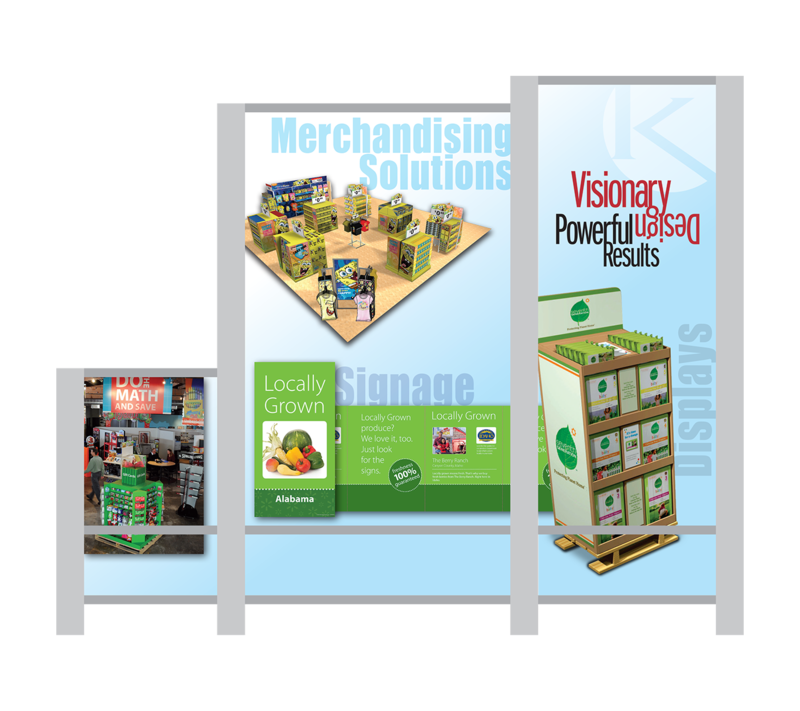 Various examples of environmental and exhibit design. 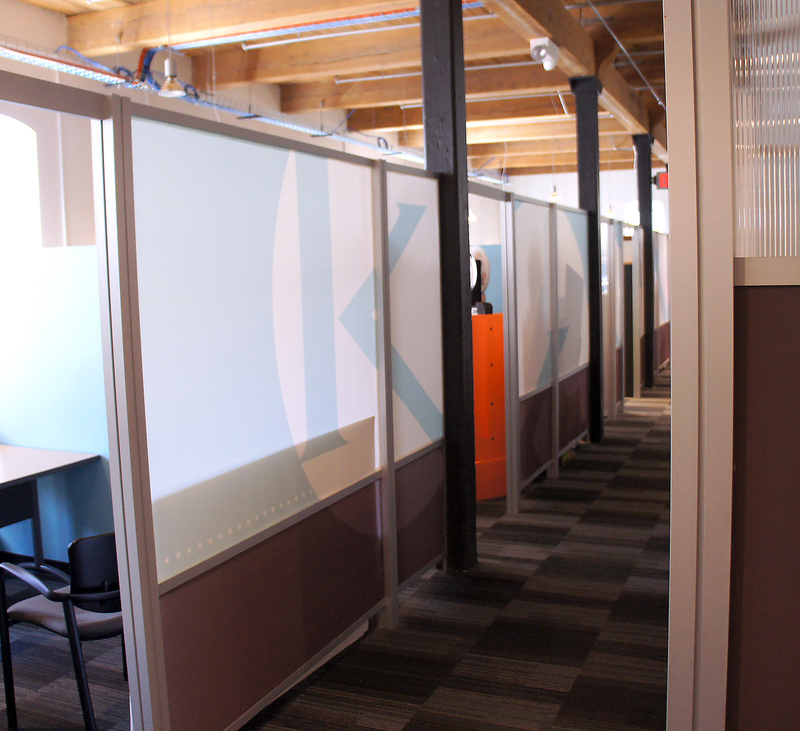 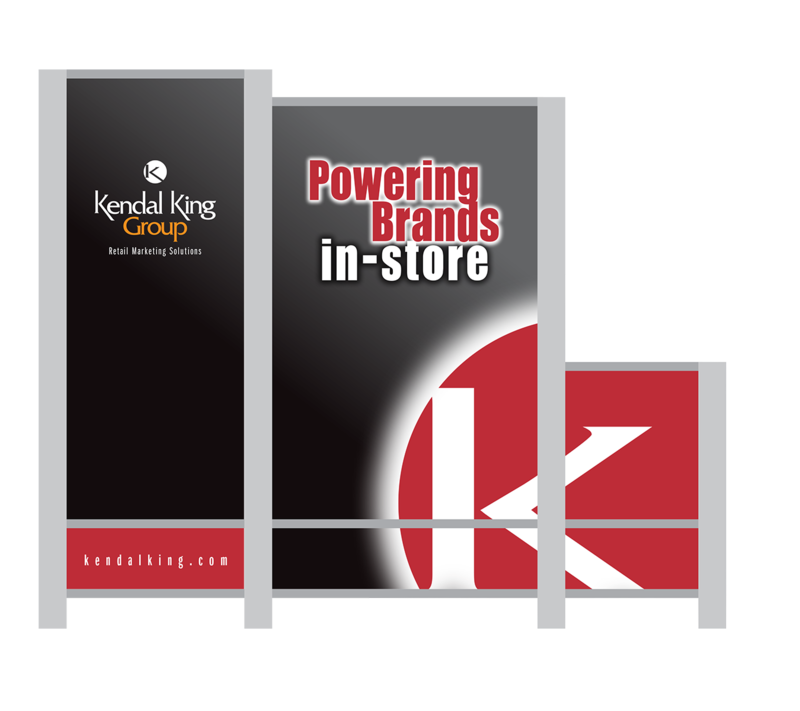 Environmental graphics for the offices of Kendal King Group. 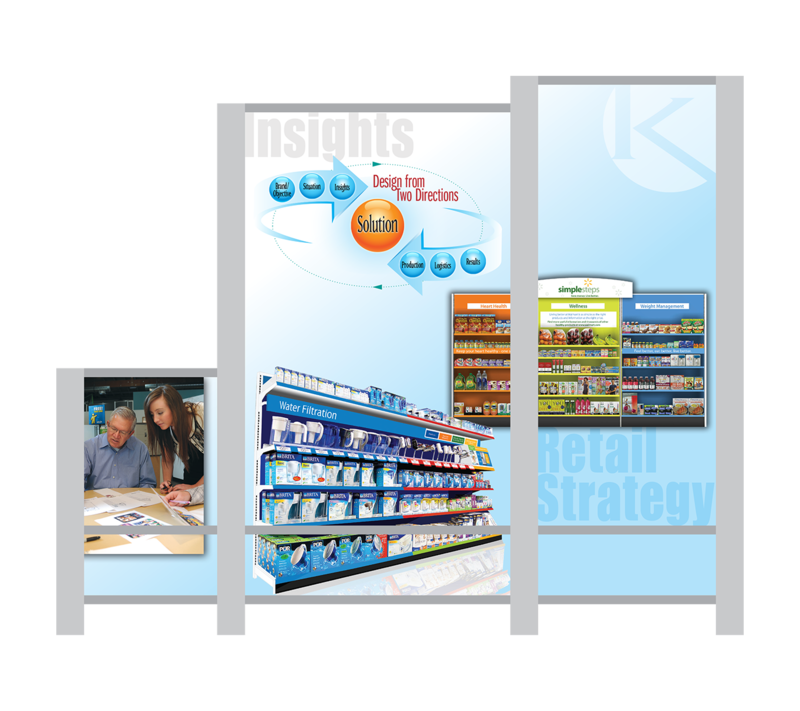 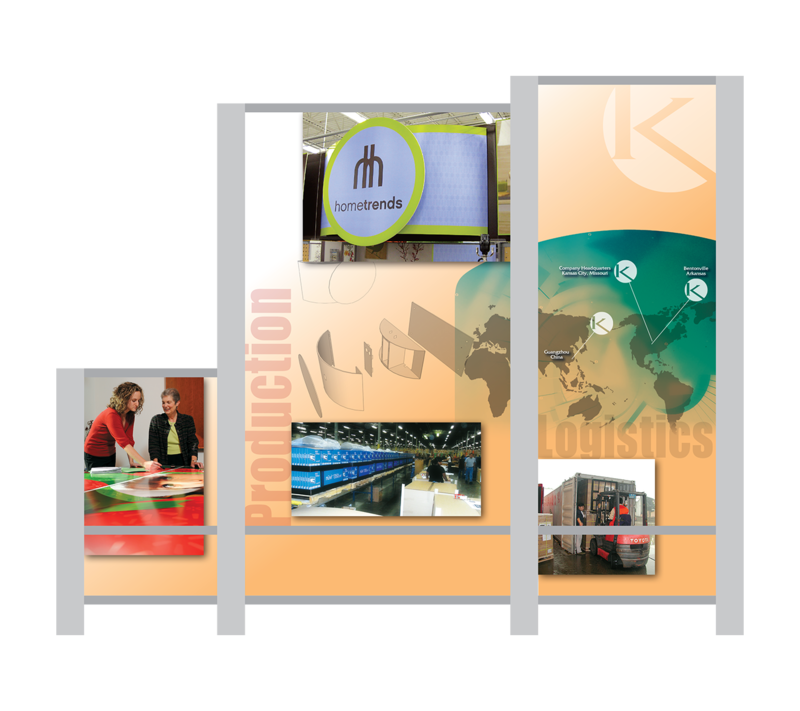 Trade show graphics for Kendal King Group. 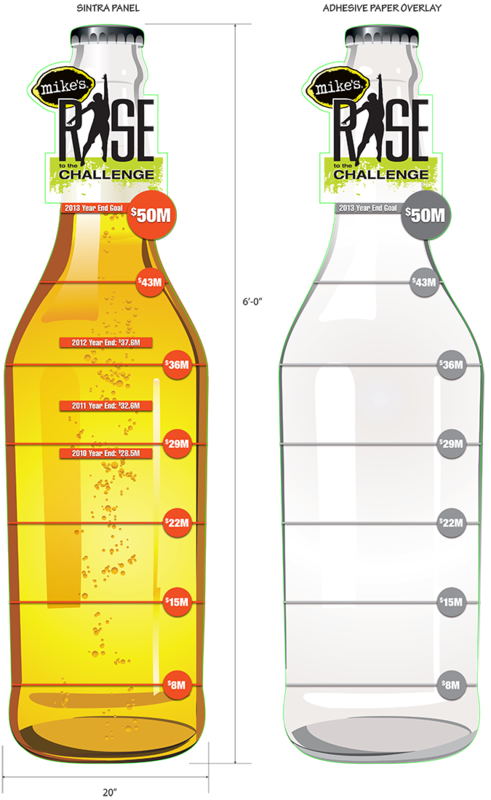 A goals board designed for Mike's Hard Lemonade sales team. 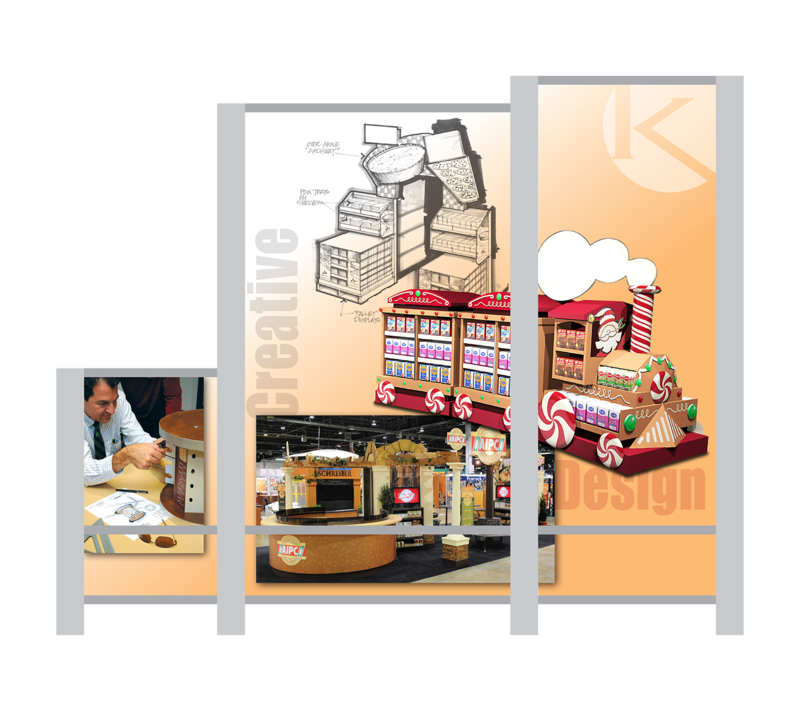 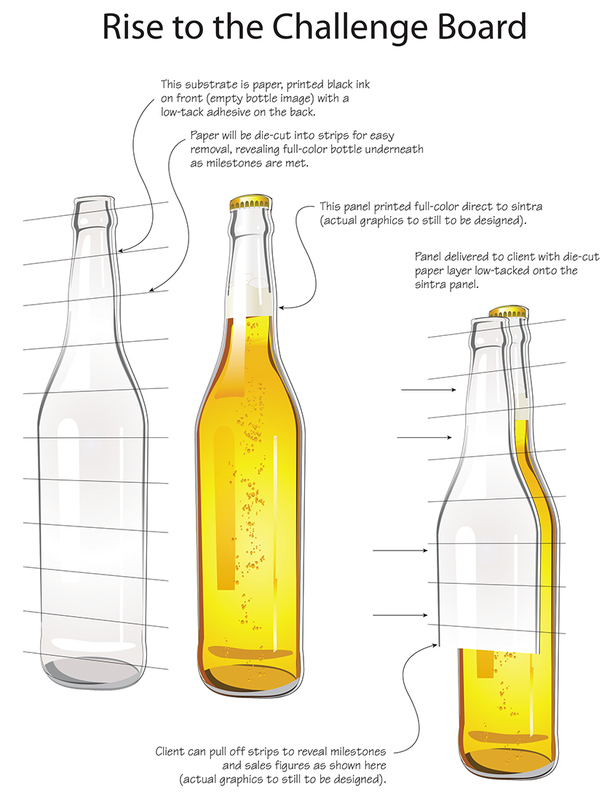 Printed on sintra, as well as an adhesive overlay that has perforated segments that can be removed to expose the goals reached for the year. 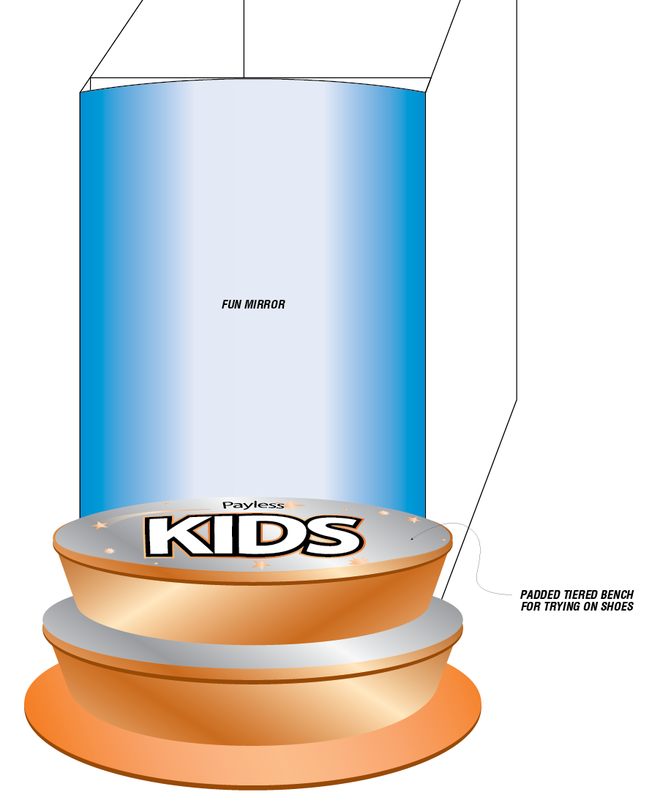 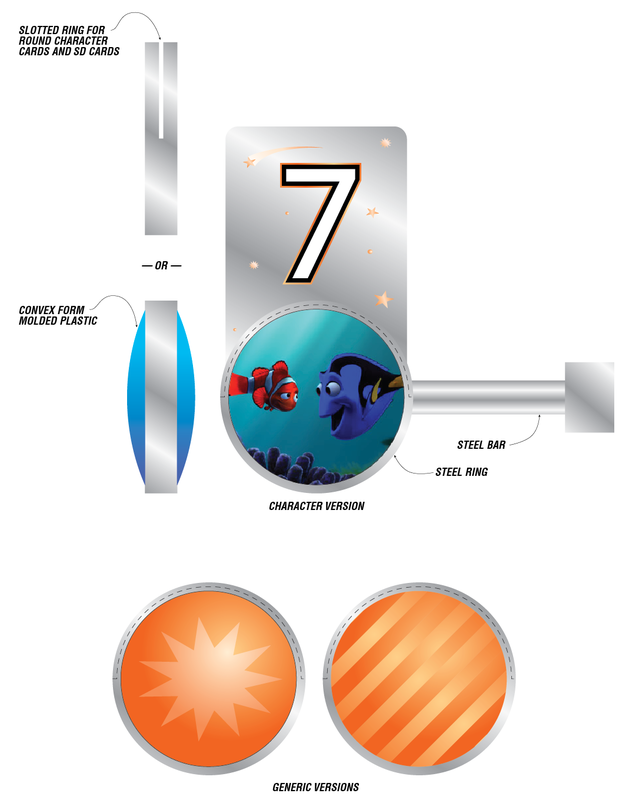 Various sign design concepts to spark visual interest for kid's aisle inside Payless ShoeSource stores. 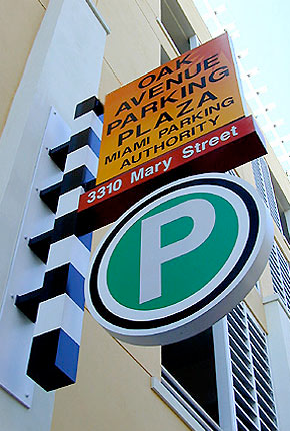 Permanent, luminated sign design for Barkley. 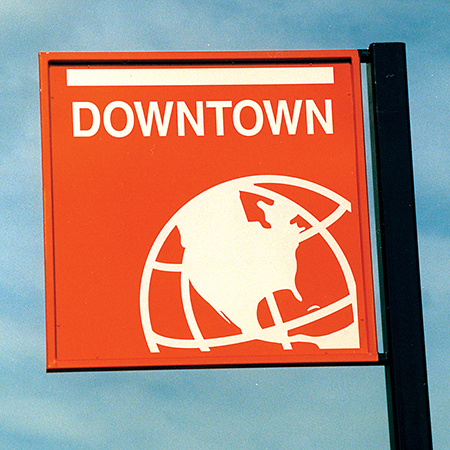 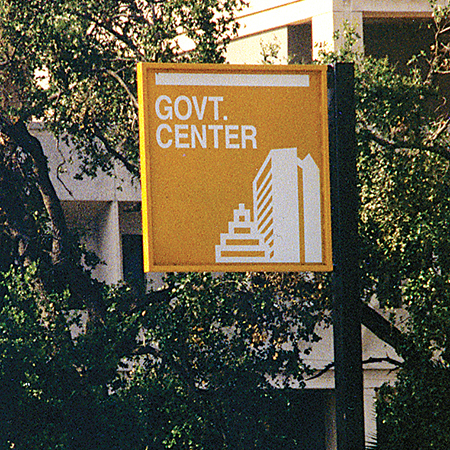 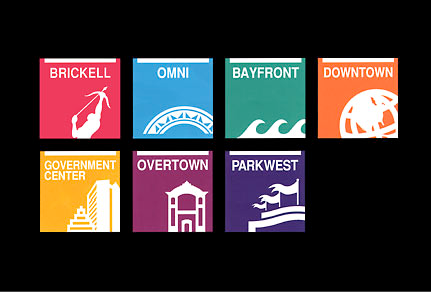 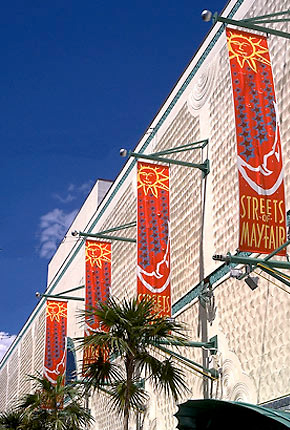 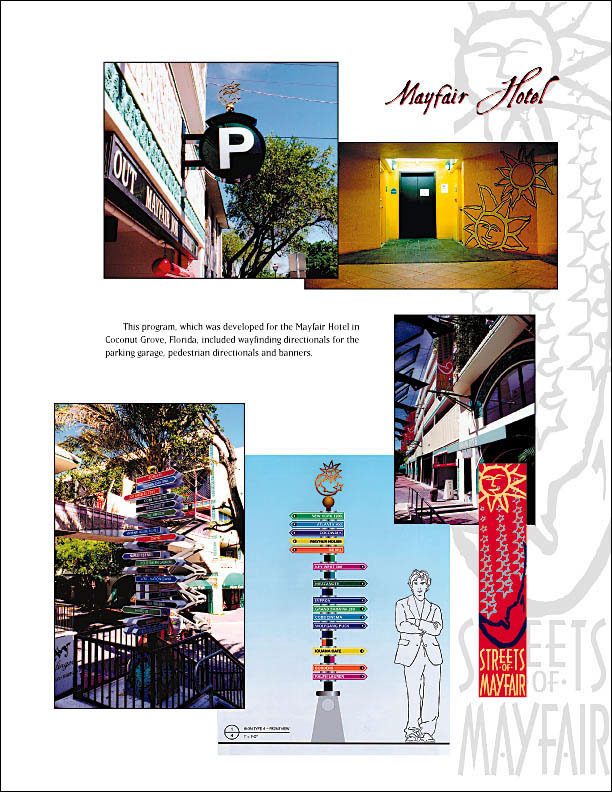 Environmental graphics for the City of Miami, Florida. 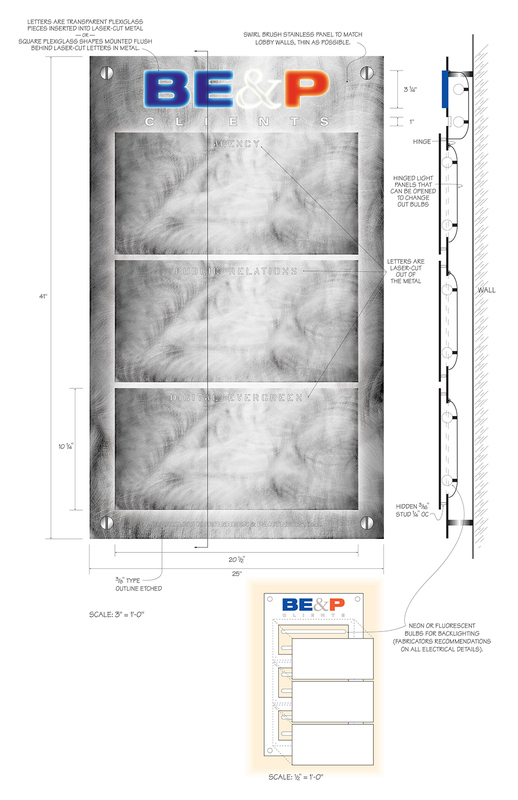 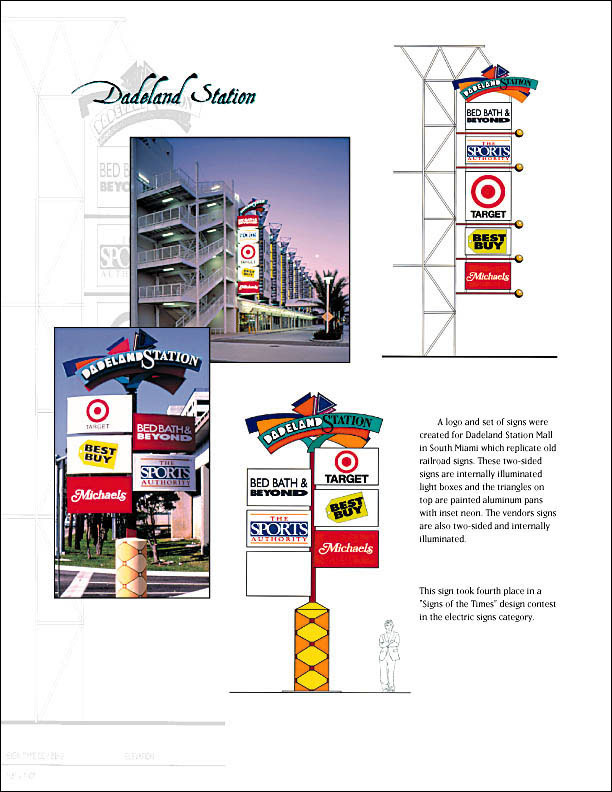 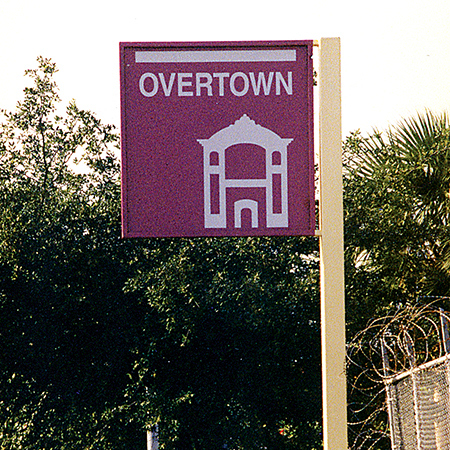 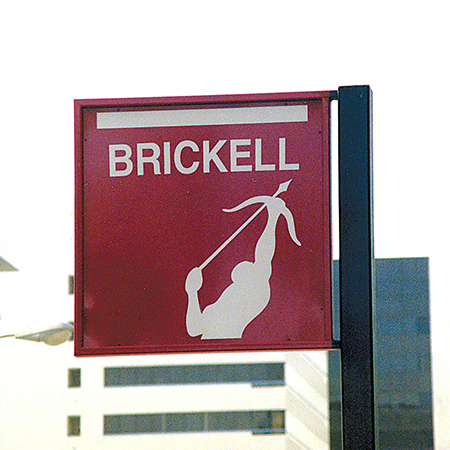 Environmental graphics for the Dadeland Station retail location in South Miami, Florida. 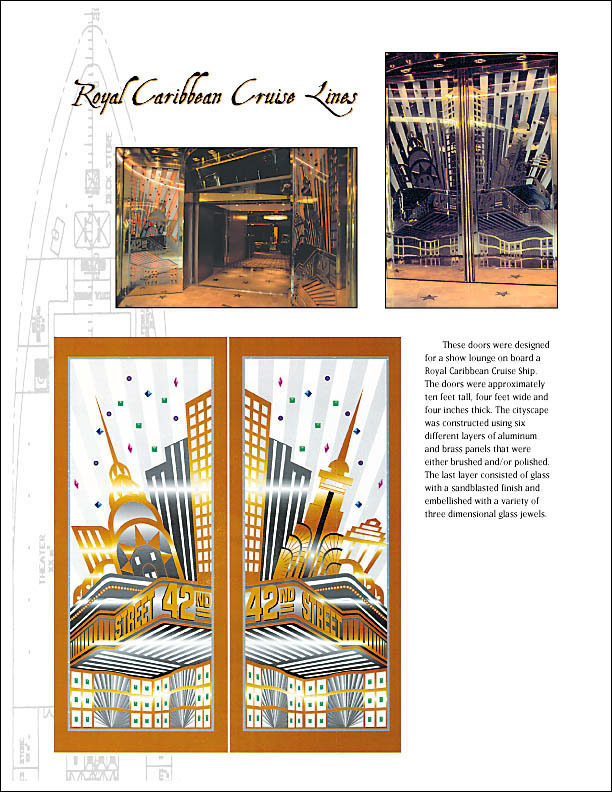 Doors designed for a show lounge on board a Royal Caribbean Cruise Lines ship. 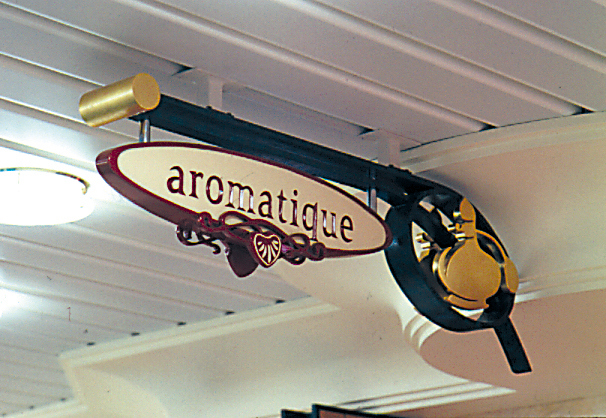 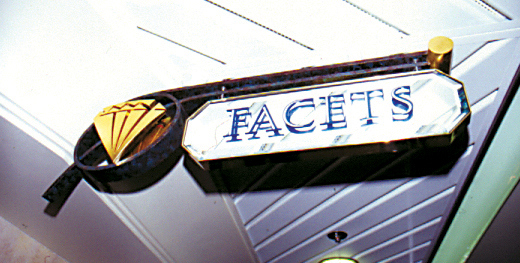 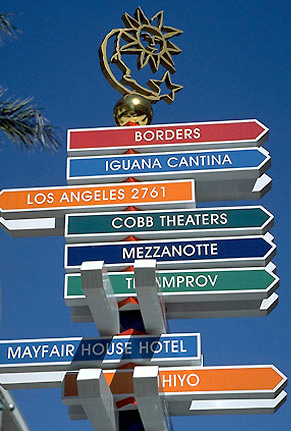 Retail sign design for shops on board a Royal Caribbean Cruise ship.